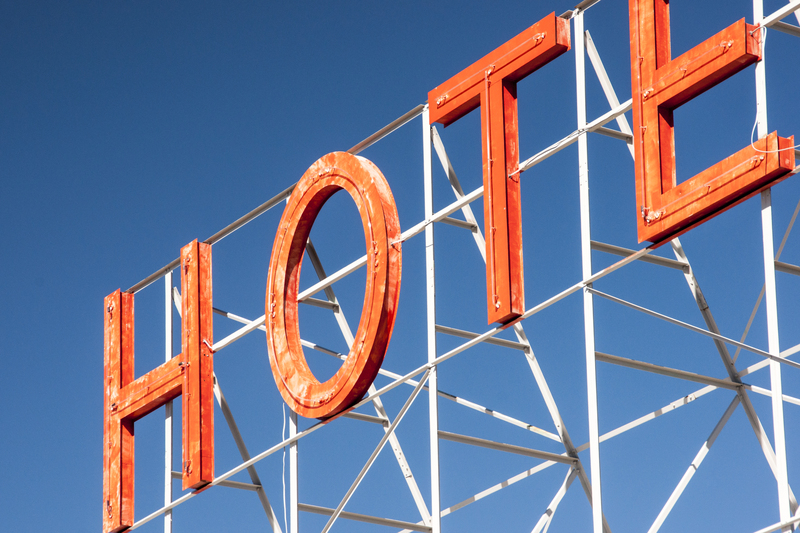 Let’s spend hours looking for cheaper hotel prices… not. We are planning on taking a little vacation in a month or two. We haven’t traveled since the birth of our daughter (in January) and my husband has been busy at work with a big project and in need of some rest and relaxation. Although, with a three year old and a 6 month old, there probably won’t be much R&R, but it is still nice to get away. My three year old also LOVES going to the beach. We haven’t gone to the coast for a while and we are all overdue for some time near the ocean! You would think that I would learn by now, but I guess I keep hope that someday, it will work. Someday, one of the millions (ok, not really millions) of travel sites would lead me to the perfect getaway. And someday, that perfect getaway will be discounted. That someday has yet to happen. I spend hours comparing lodgings on 5 different sites with 15 different companies and at the end, I go back to the actual hotel’s webpage and book the room. I always book directly from the hotel because I have yet to find a better deal anywhere else. Am I the only one?! The hotel we just booked was actually one Groupon… but not the room we wanted. But it was only $10 cheaper than booking directly with the hotel. Some travel sites will tell me it’s $30 cheaper a night, but when I click to book, the price has jumped up $50 and they haven’t added fees. I’m curious, have you ever had a travel site that actually had cheaper prices than booking through the hotel? Maybe I’m missing something. I have a few stocking stuff posts (like 50 Stocking stuffers for women, and 100+ Stocking stuffer and small gift ideas for men, and Non-candy Easter basket and stocking stuffer ideas for children) that get a bit of traffic. If you’ve read them, you know that I am a huge fan of Christmas stockings full of goodies (and present-giving in general). This year, I really want to focus on fun, family, and the meaning of Christmas, rather than all the focus be on PRESENTS! This is becoming more important as my first born gets older (he will be 2.5 years old during Christmas) and with another one on the way. Also, if you have kids, you know how quick they accumulate stuff. I don’t even know how this happens, but it seems like magically, overnight, toys have multiplied. We rarely even buy toys, encourage family to gift other things, and yet still, there is a house full of toys! I am taking a step back from filling stockings with toys and trinkets and little things that will get lost inside the couch or thrown away in a month. Well, there may still be things that get lost inside the couch, but the point is, I am trying to avoid the junk and clutter. It may be early to start planning Christmas gifts (and I may have gotten my cousin’s kids’ gifts already, at Target, for 70% off during their toy clearance), but my little girl is set to make her arrival in January and I just love making lists, planning a budget, and all that fun stuff. 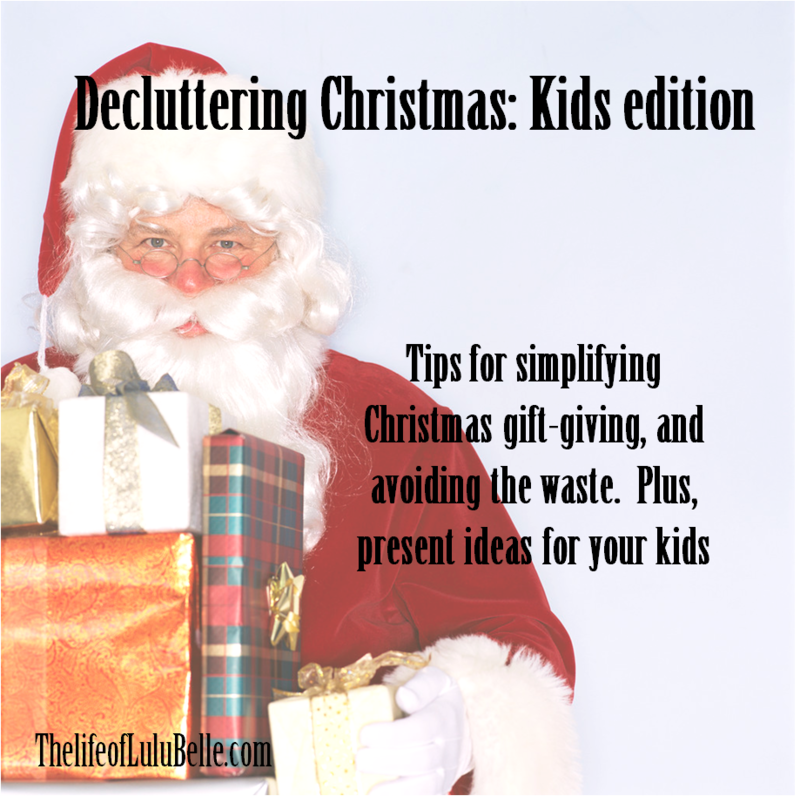 So here are a few tips I am following to decrease the amount of “stuff” we don’t need (but still have fun giving gifts), and a what I am giving my son for Christmas. We have our little fake tree up and lightly decorated; an experiment since we have an 18 month old curious little boy. This weekend we put up a real tree to go in front of our bay windows. The mantel is decorated, I’ve been experimenting with the best sugar cookie recipe, and my Christmas shopping is about 2/3’s done. I can’t believe Christmas is 13 days away! I can’t wait! I know succulent projects are everywhere, but I just can’t get enough! I probably have 10 pots of succulents in the backyard and I started a succulent garden in the front yard, but I still bought several different varieties when I went to the home improvement store this weekend. My husband doesn’t agree that you can never have too many succulents. Forget flowers and chocolate, I would much rather have succulents! In fact, that’s what my husband brought me for Mother’s Day; the large hen he bought is now finally producing chicks! I’ve surpassed my exclamation mark limit, but I really love succulents, especially sempervivums (the “hens and chicks” that produce babies). 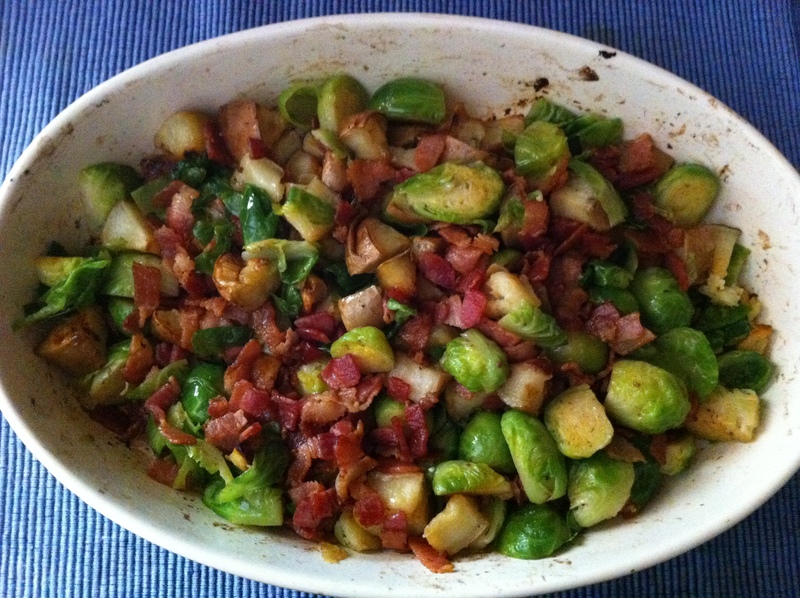 They are easy to grow, and the babies they reproduce are easy to replant. 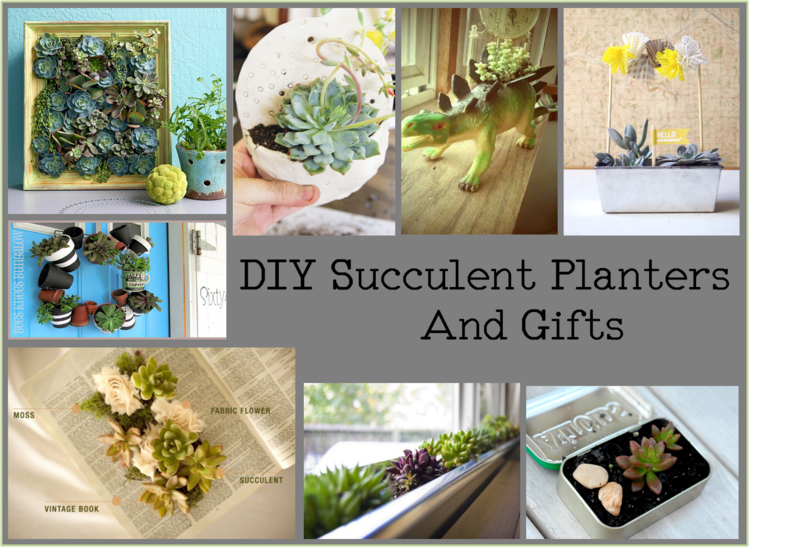 This makes succulents great to cultivate at home then make gifts and creative planters. Need a hostess gift? New neighbor? A friend’s birthday? Grab some succulents and throw them together in a cute way and you have a unique gift that will literally, keep on giving. The hard part is figuring out exactly what to do with your plants. So here are just a few ideas! Last week, for the first time, I ventured into a thrift-shop that was literally around the block from my house. I’m not sure why it took my so long to go inside, but I was pleasantly surprised and took home an armful of puzzles, a vintage top, an awesome purse, and a bag of Mega Blocks. I also found out that on Tuesdays, everything is 50% off! This week I went in there and bout a vase, a glass bowl, a crystal tea cup, a wicker platter/basket, and some odds and ends. I knew exactly what I was going to do with the glassware – make a terrarium! 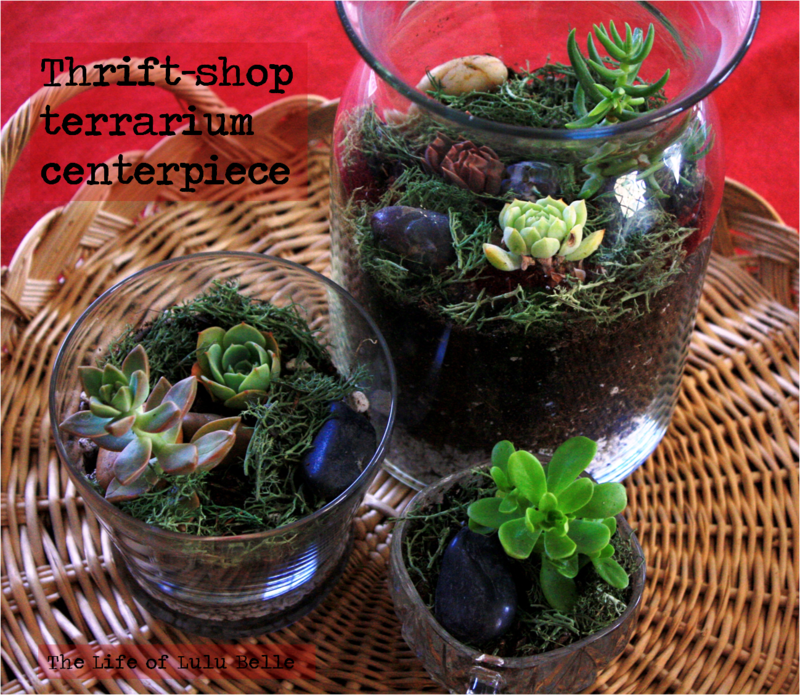 Terrariums have been a trendy DIY project for a while, but I hadn’t participated in it as of yet. Finally, with an abundance of baby succulents growing in my garden and a renewed interested in pinned terrariums, I decided to look into it a bit more and give it a go. Directions and care instructions after the jump! This post is a couple days late, but I’ve had a sick baby on my hands and an over-worked husband! I’ve been following a pretty strict primal/paleo diet these last few week and it’s going great. I’ve lost a few pounds without trying very hard and I’m feeling pretty good. 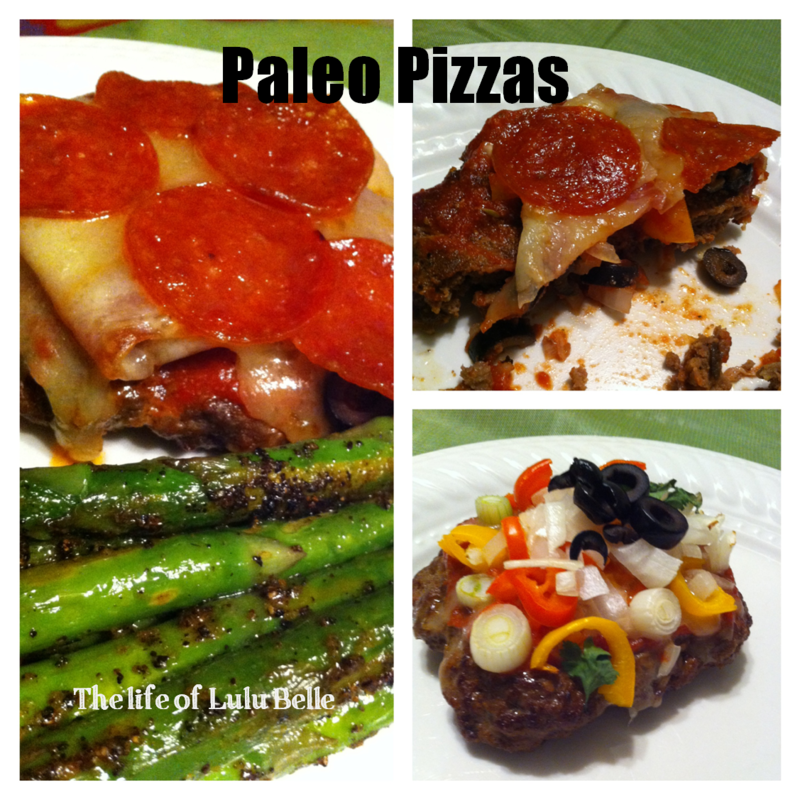 We aren’t doing a diet as strict as the Whole30 program, but trying to do about 90/10. 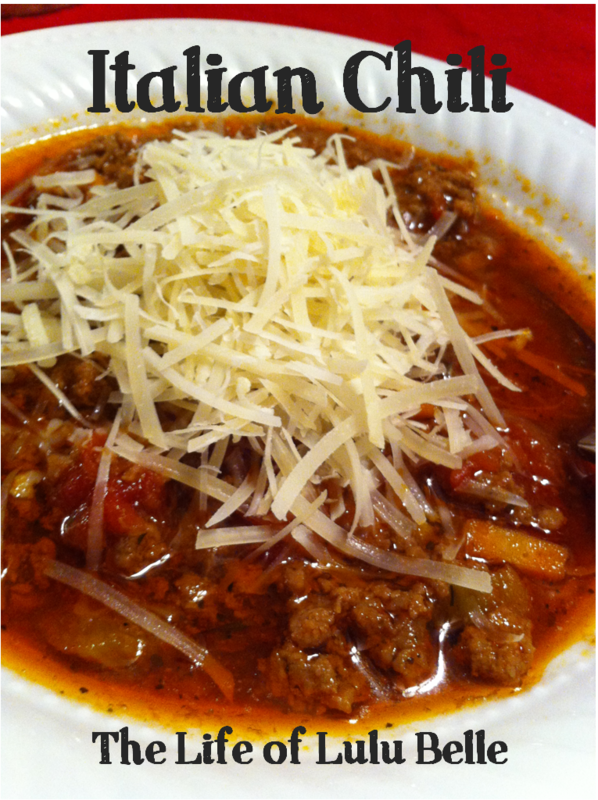 Usually I post meal plans for the week coming up, but I’ve decided to start posting meals, shopping lists, and cost breakdown for two weeks at a time, since a lot of what we buy is in 1 or 2 week cycles. The Lenten season has begun and I will admit, the start of Lent was not very self-sacrificing. I thought Lent was the following week and did not plan very well. I am breast-feeding my baby, so I am not fasting, but I am replacing breakfast with a shake that has lower calories than my typical cooked breakfast. My husband eats dinner leftovers for lunch, but I have started enjoying protein shakes as meal replacements because it is quick and easy (which is necessary with my 9 month old!) and it ensures I get plenty of protein. We try and order the cleanest protein we can. We aren’t perfect, we aren’t nutritionists, we are just trying to figure out what works best for us. Meal plan, grocery list, and price breakdown after the jump.